"At least, we have pushed through the idea of competitive selection process." The expert of the Center for Political and Legal Reforms Yulia Kyrychenko says that the new law on the Constitutional Court does not allow protecting the CC from political influence. "The main problem, which has been rarely touched upon after 2010 is the political dependence of the Constitutional Court," the expert said at a round table conference organized by Gorshenin Institute on 6 March. "Unfortunately, the current government had done everything to hamper the efforts [of expert community] to implement the required constitutional changes in terms of the Constitutional Court, namely, change the order of formation of the CC," said Kyrychenko, who is also an expert in the Constitutional Reform group in the Reanimation Reform Package think tank. "What we have done to date is laid down the idea of competitive selection of constitutional judges. We had high hopes that this will help reducing the political dependence of the Constitutional Court," the expert said. Kyrychenko admitted that the implementation of this mechanism in the law proved imperfect and will hardly result in serious improvements. Another flaw of the bill adopted by the Verkhovna Rada regards the constitutional petition, she said. "In the RRP's view, the bill largely restricts the access of legal entities of public law to the constitutional proceedings. Secondly, the bill establishes an additional obligation for the claimant to prove the violation of his constitutional rights – a provision not found in the Constitution," Kyrychenko added. 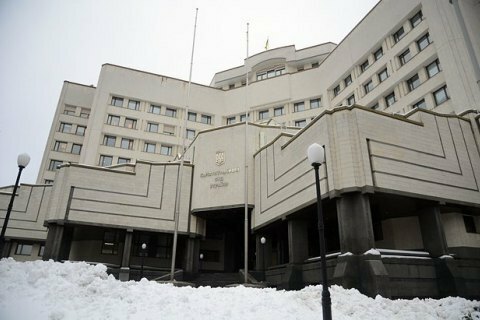 On 9 February, the Verkhovna Rada has approved by a 239-vote majority the first reading of the bill on the Constitutional Court of Ukraine.